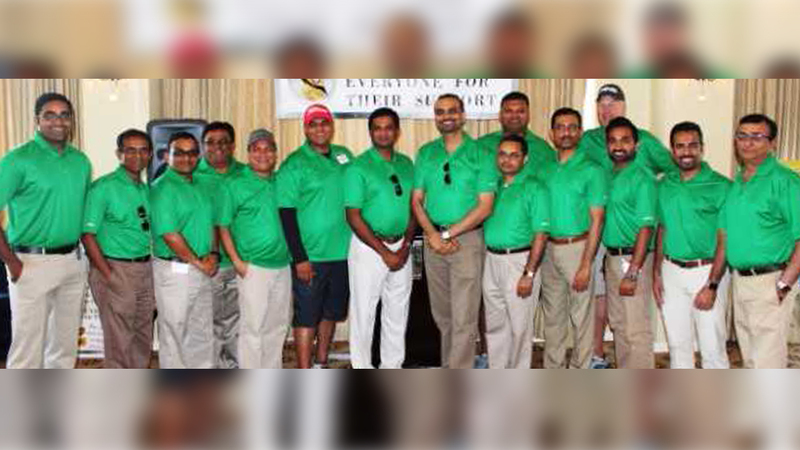 The Greater Houston Retailers Charitable Foundation (GHRCF) hosted its 5thannual charity golf tournament. HOUSTON (KTRK) -- The Greater Houston Retailers Charitable Foundation (GHRCF) hosted its 5th annual charity golf tournament. There were over 150 participants and sponsors playing in their biggest tournament yet. At the luncheon, Houston Police Department Lieutenant Susan Wheeler spoke to tournament participants about how much the organization's efforts mean to the community of officers who work alongside the organization. GHRCF Chairman Shamsuddin Maredia, GHRA President Lehjatali Momin, CEO Mike Thompson, VP Bill Pitocco, GHRA Directors Asif Davwa, Sherali Haiderali, Mubarak Dhukka, Zulfiqar Kurjee, Tajddin Momin, GHRCF Director Muhammad Saeed Sheikh & Amir Jamal, were among those who distributed the trophies and prizes to the tournament's winners. All proceeds of the tournament go to provide financial support to families of Houston area peace officers and fire fighters who have lost their lives in the line of duty.